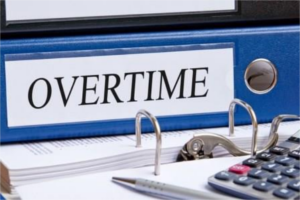 More than 1 million workers nationally would become eligible for mandatory overtime under a proposal unveiled late Thursday by the U.S. Department of Labor (DOL). The new overtime rule would increase the threshold at which employees must be paid time-and-a-half for any time worked over 40 hours a week. The new threshold would be $679 per week, or the equivalent of $35,308 per year. The current standard is $455 per week, or $23,660 per year. The proposed rule will be open for public comment for 60 days, with a final rule coming sometime after that. increase the total annual compensation requirement for “highly compensated employees” (HCE) from the currently enforced level of $100,000 to $147,414 per year. allow employers to use nondiscretionary bonuses and incentive payments (including commissions) to satisfy up to 10 percent of the standard salary level. While the rule is a big increase, it is considerably less dramatic than what the Obama administration’s labor department proposed in 2016. That rule would have increased the threshold to more than $47,000 per year and included annual increases going forward. That rule was subject to an 11th-hour injunction and eventually was struck down by a federal judge in Texas.